The folks over at Asus were nice enough to send us a brand new Transformer Pad before they hit the US market here in a few days. 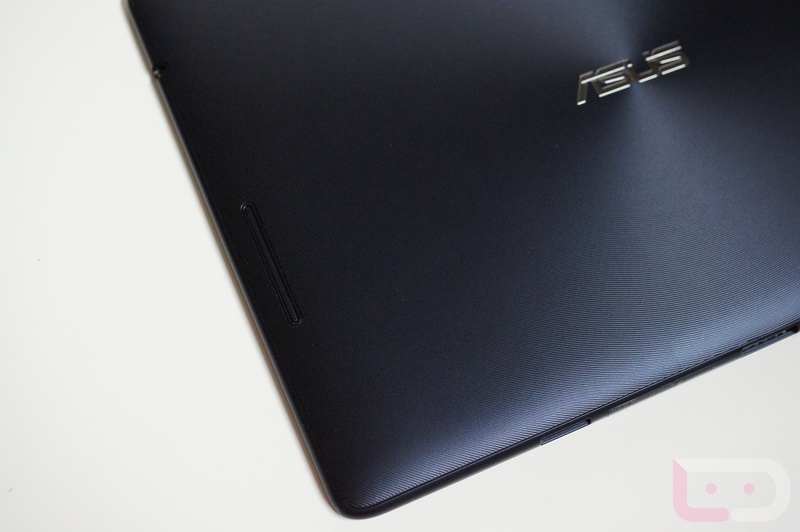 The tablet itself is Asus’ attempt at creating a powerful tablet with strong on-paper specs, but keeping it at an affordable entry-level price for people who could possibly be shopping for either an Android tablet or a netbook. Coupled with the separately sold lapdock accessory, the Transformer Pad is capable of taking on your most important business and then handling your favorite Android apps with ease. Read on to see how it is almost the perfect example of when good looks meets affordable functionality. Speed: We get it already – NVIDIA’s Tegra 3 processor is capable of turning almost any Android tablet into a competitor for best tab on the market. 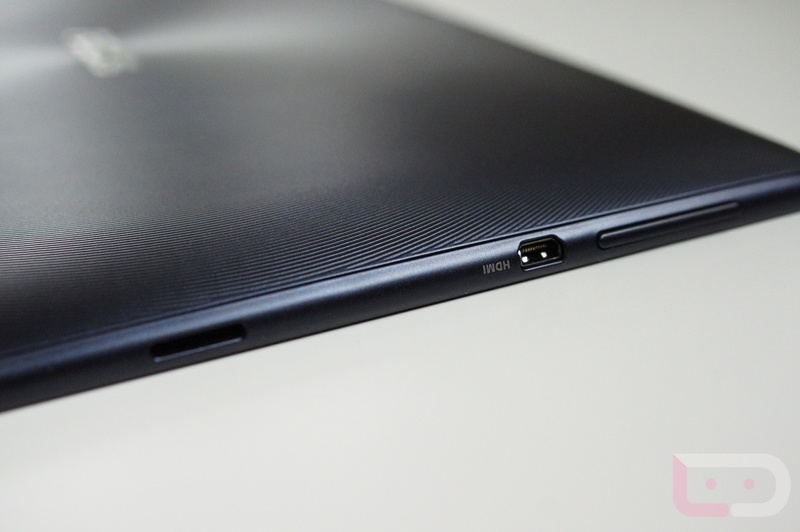 With many apps and great games coming out that are specifically designed to show off the Tegra 3’s capabilities, there is no doubt that this tablet’s chipset should be used as a selling point. When you hear that your tablet has a Tegra chip, you can rest assured that it will keep up with the best of them and power any type of activities you may throw its way. Specs: The Transformer Pad is a 10.1″ tablet with a WXGA (1280×800) IPS display featuring the Tegra 3 processor along with a full 1GB of RAM. It weighs in at 1.39lbs and will be available in three different colors: blue (at launch), red, and white (by June). 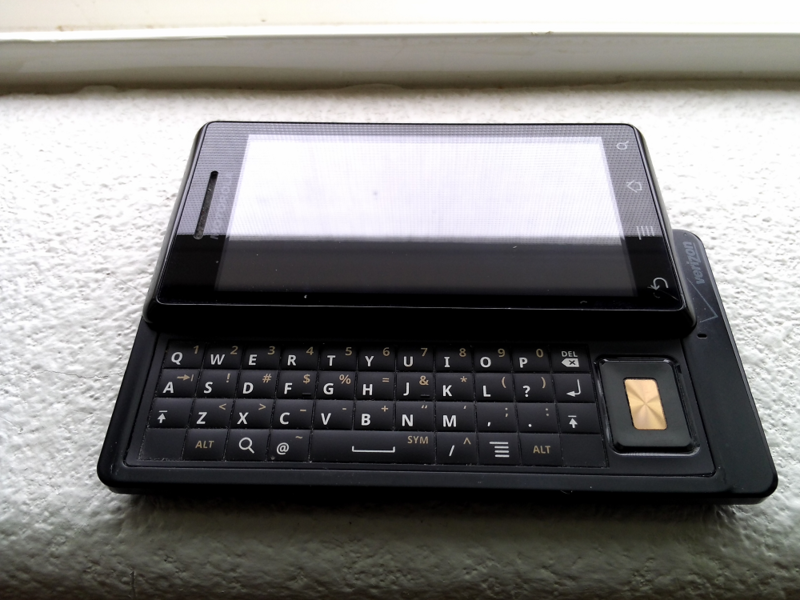 Along the backside is the 8MP shooter, then on the front is the 1.2MP camera for video chatting. You have your WiFi, Bluetooth 3.0, GPS (take that Prime! ), and even a Gyroscope, so straight out of the box this thing comes packed with goodies. Specs like these aren’t often seen with a $380 price tag, so it’s all a major plus in this instance. 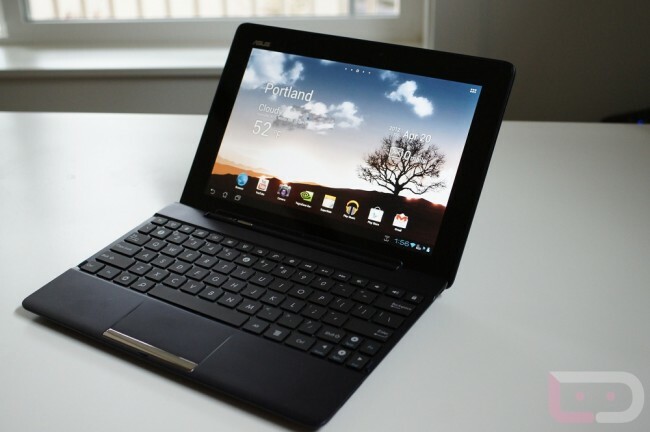 Camera: At the beginning of the review, I had to ask myself which Transformer tablet I would be comparing this T-Pad to. 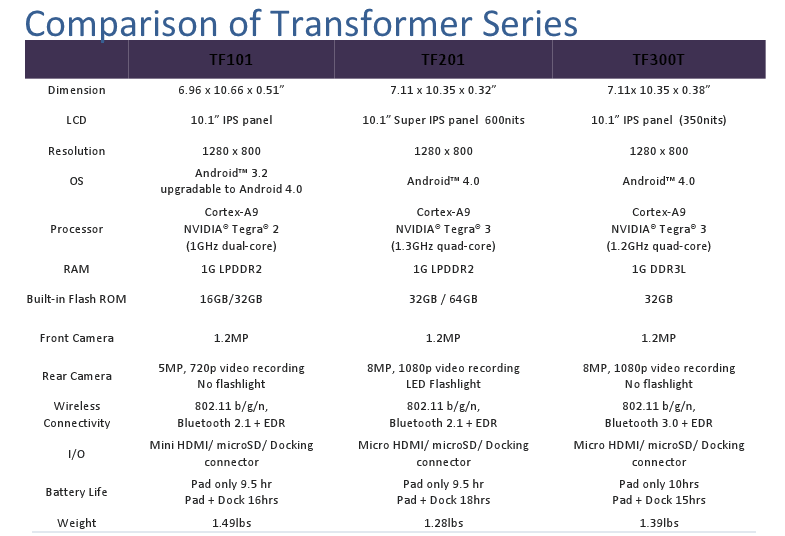 Would I compare it to the Transformer Prime, or to the first TF101 tablet. In the camera department, I would have to compare to the first Transformer Eee Pad, due to the fact that this tab’s camera beats it outright and that at the $380 price point, we know this is not being marketed as the Prime’s successor. It is an 8MP shooter with a f2.2 aperture, capable of shooting video in 1080p HD. The auto-focus is spot on and it shoots like a champ. 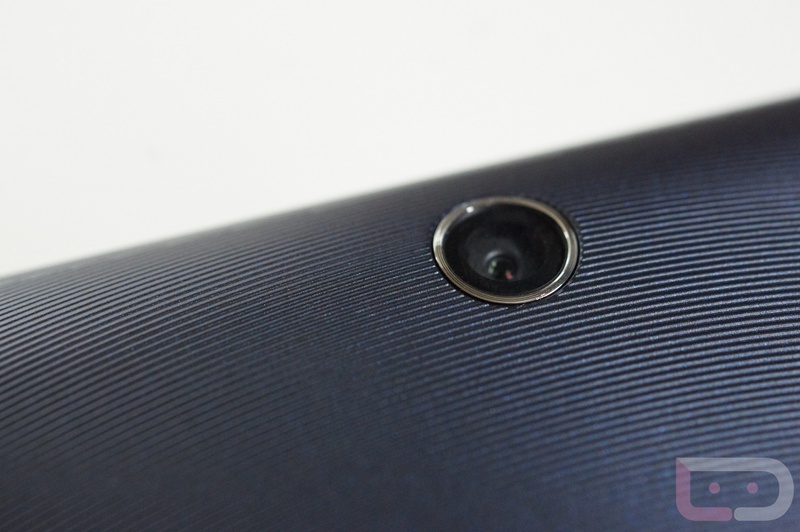 But let’s face it, are we actually buying tablets for the camera? Display: The T-Pad has a 10.1″ IPS display with close to 180 degree viewing angles, is backlit with 10-finger multi-touch, and with 350 nits brightness, you may even be able to use it outside in sunlight at times. It doesn’t get quite as bright as the Prime, but then it also wouldn’t be this affordable. The touch sensitivity on this tablet is also very good, responding instantly to anything you ask of it. 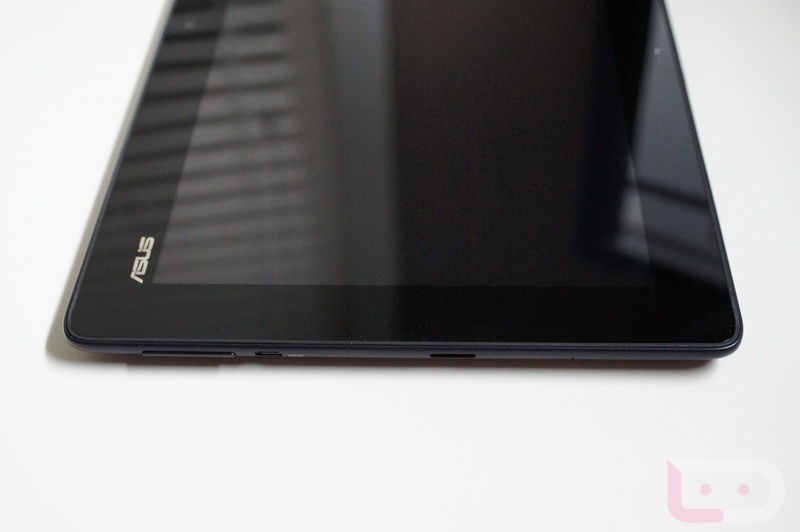 Battery: When the tablet first arrived, Asus instructed me that I would need to power on the tablet and then allow it to die, then fully charge it to make sure the battery was cycled properly. Well, at first I had troubles doing that because the darn thing wouldn’t die. I first powered it on and it held about 65% left and even after all my playing around and checking out the features I was only down to 55%. I haven’t had any battery problems so far and from only the short time I have had with it, I don’t see battery being a problem for me in the future either. Lapdock Accessory: For the extra $150, you can buy the lapdock accessory which turns this tablet into the full package. A powerful tablet that can play your favorite mobile games, but also handle all of your business as it has just been made into a sporty notebook. 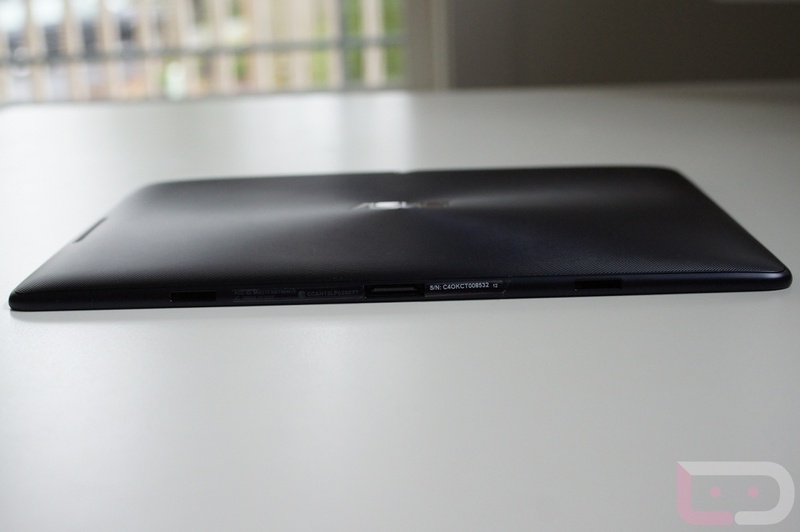 The lapdock isn’t a gimmick either – it works quite well. And with the added benefit of having an extra 5 hours of battery life on your tablet, that’s a win win in my book. Quick tip – Asus said that none of the docks and tablets (previous models) would work interchangeably, but I found that isn’t exactly true. The Prime will work in the TF300’s dock, but not vice-versa. The TF300T is too fat to fit inside the Prime’s dock. I was unable to try the TF101 as I do not own one. 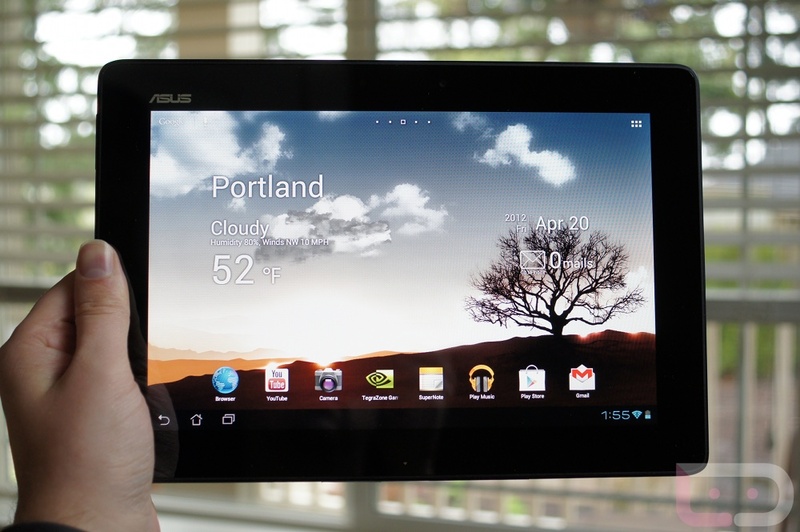 Ice Cream Sandwich: Let us hope that all future Android tablets will come shipped with Ice Cream Sandwich from now on. If you are looking to buy a tablet, but it is still running Honeycomb, run away as fast as you can. 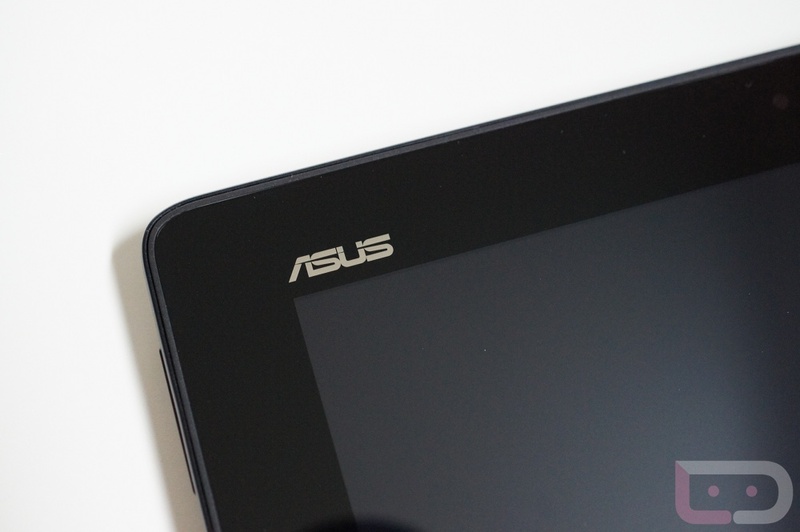 And as far as companies updating their devices is concerned, there is no better in my eyes than Asus. After receiving the tablet, there has already been one OTA update and you have to respect that in a company. Knowing your device will receive timely updates to newest firmware and having bugs fixed is a huge plus. Price: Hard to argue with the price of this tablet. 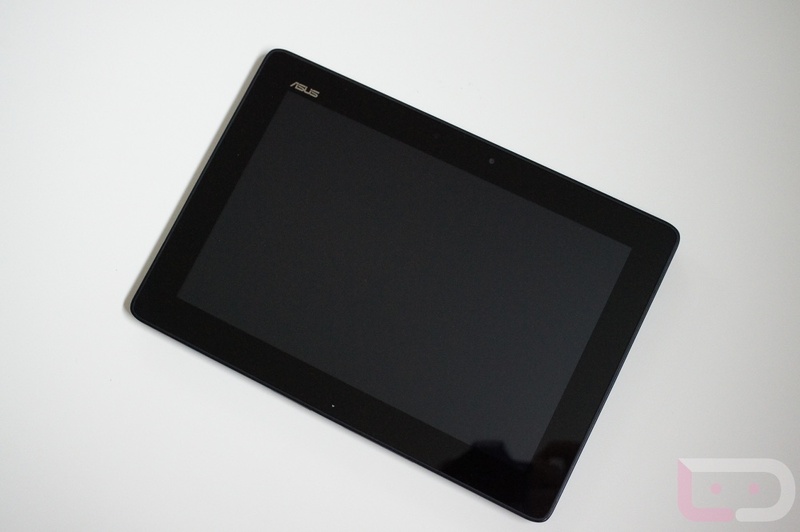 You get high-end specs but at one of the more reasonable prices we have seen in a tablet of this caliber to date. The 16GB model will run $379 at launch with the 32GB model dropping in at $399. This tablet should hit retail stores around 4/30 and online shops by 4/23. 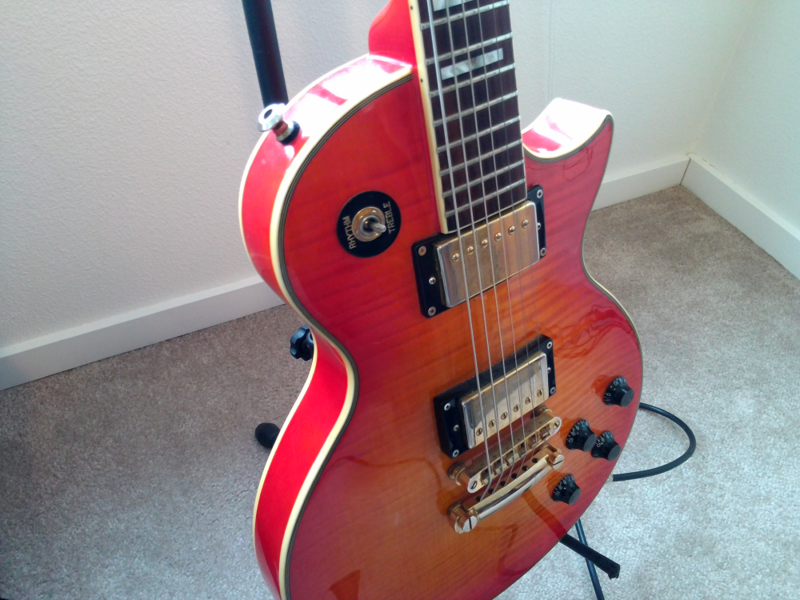 Build Quality/Construction: Yes, I have this listed as a negative. That is not to say that the Transformer Pad is cheaply built, but it almost feels like it’s missing a few screws somewhere. Sure, tablets are not made to be bent or twisted, but I know that if you drop this slate from waist high onto something harder than carpet, you may be out a few hundred dollars. The casing is easily separated from the screen with a fingernail and holding the tablet just isn’t all that fun. Whether this plastic material was used to fit inside the design budget or if they wanted to shy away from the metal they used on the Prime, it seems that some steps were skipped when assuring the tab wouldn’t fall apart after some heavy use. 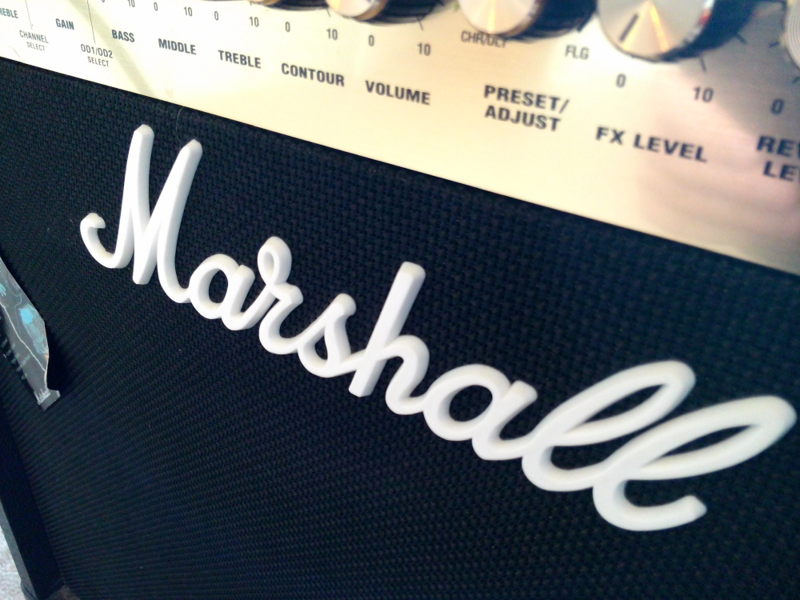 Speaker Location: I stressed this same topic on the my Transformer Prime review. Companies, please do not put the speaker in a location that will be covered by my hand when holding. When I’m playing a game and watching videos, I am constantly having to re-position my hand to make sure I can hear the audio. No thank you. Overall Feel: This sort of ties in with the construction part, but that just wasn’t enough to portray the sense of worry I had when holding the tablet. For example, when firmly (not too firmly) pressing on the backside of the slate, you can see the front display begin to bleed in front from where you are holding it. It’s fine if you handle your tablet like a newborn, but when you are playing a racing game and holding it in front of your face in the air, you are going to want to have a strong hold of it from the back and even during that you can witness the bleeding. I have a Transformer Prime and also a XOOM WiFi and neither have had something like that. Definitely a pointer to the plastic backing they used instead of something a bit more sturdy . 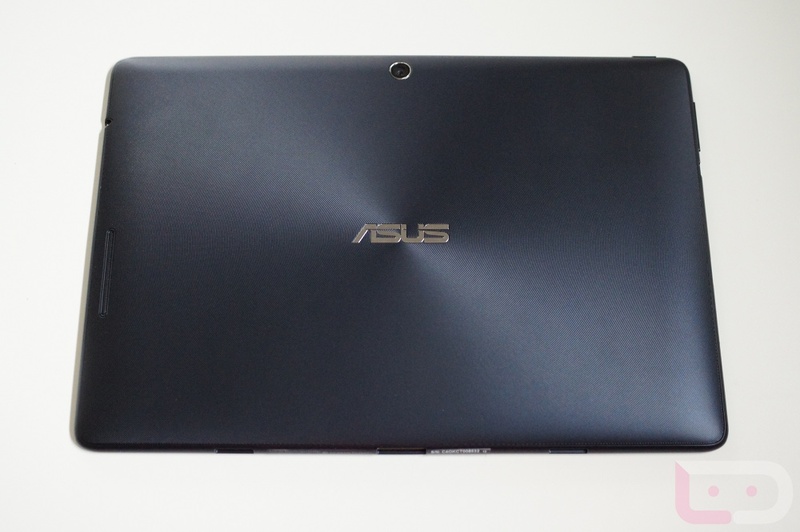 The Transformer Pad nails Asus’ goal to have top of the line specs at a price point that can compete in a market place that is cluttered with other noteworthy competitors. But is it worth it? At $380 for 16GB or $400 for 32GB, it may in fact seem like a good deal at first look, but if the Transformer Prime ($500) begins to see a lesser price tag, then I would suggest to save up for that instead. 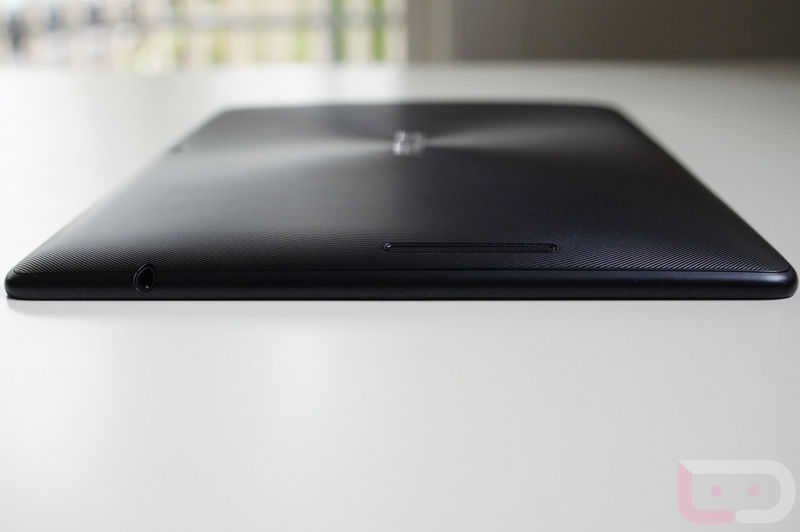 As a successor to the TF101, the T-Pad plays its role as a high performance entry-level tablet just fine, but when you throw in the extra $150 for a new lapdock, you are looking at a grand total of about $530 or more. Just $100 more and you can have the Prime with a lapdock which sports a better camera and overall higher build quality in general. That’s just my personal belief. 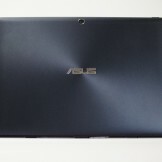 At the end of the day, the Transformer Pad is an option which will deliver high performance at a very reasonable price. If that is what you seek, then this is the tablet for you.